When it comes to truck scales, the weather is a key factor and no one knows how important it is to be able to provide accurate weights and measurements. Because of this, we specialize in services designed to increase accuracy and ensure our customers receive the best services possible. Like most pieces of machinery, your truck scale requires special service during the winter season. We have compiled some information about how your scale can be affected by winter weather. 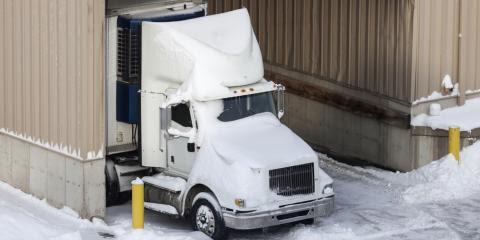 What Are The Dangers My Truck Scale Faces During The Wintertime? Over time, dirt and debris will inevitably collect underneath your truck scale, which is why it’s important to periodically clean beneath it. Such dirt and debris collects between the concrete slabs of the scale and its end walls and can impact its accuracy. This buildup can contain moisture, and if not removed prior to the colder weather, it can cause your scale to freeze in extreme temperatures. Not only will this freezing impact your daily operations, but cleaning a frozen scale takes much more time than it would have otherwise. How Do I Maintain My Truck Scale During Winter? Truck scale maintenance during the winter is a little different than other times of the year. In addition to regular maintenance procedures, you’re also dealing with snow, ice, and freezing temperatures. Unless inside a warehouse, your scale will likely need snow removal services during the winter. When doing so, use a shovel or snow blower rather than a snow plow. If no other option is available, a snow plow can be used; however, only move the plow from end-to-end and keep the plow blade slightly raised to avoid damaging any of the scale plates. For more info on how your truck scale can be affected by the winter weather, contact our scale repair professionals at (513) 353-3788. We also specialize in food process control and truck scale calibration, so view a complete list of services by visiting our services page.